Grand Central Publishing, 9780446196109, 272pp. Unchecked urbanization has begun to eclipse the North Carolina countryside. As farms give way to shoddy mansions, farmers struggle to slow the rampant growth. In the shadows, corrupt county commissioners use their political leverage to make profitable deals with new developers. 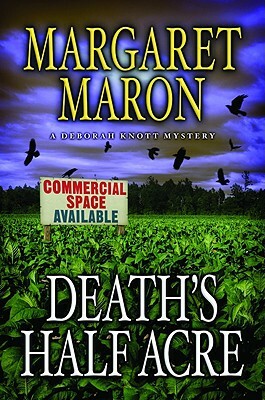 A murder will pull Judge Deborah Knott and Sheriff's Deputy Dwight Bryant into the middle of this bitter dispute and force them to confront some dark realities.